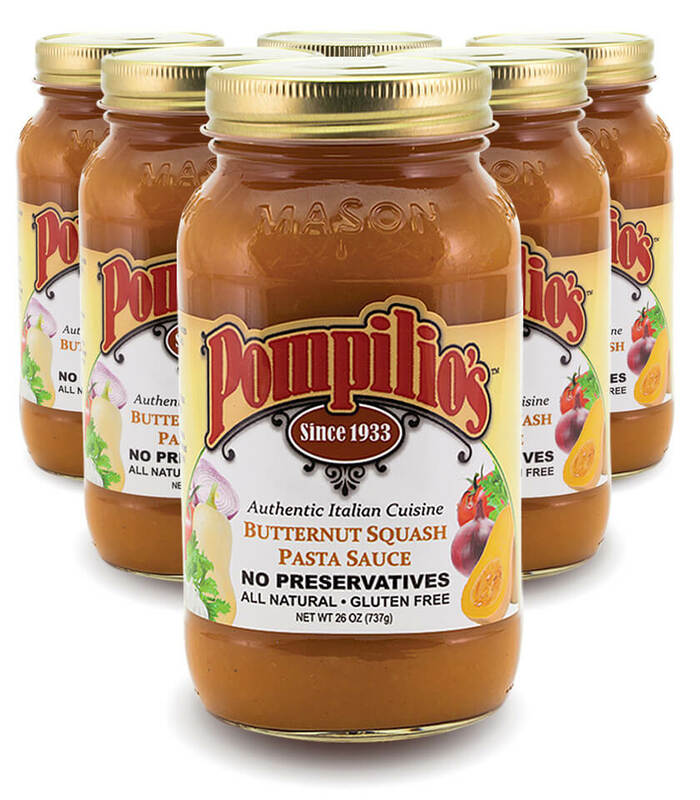 Six 26 ounce jars of delicious Pompilio’s Butternut Squash pasta sauce. Click here if you would like to order 3 jars. The sweet, distinctive flavor of fresh butternut squash. In a creamy, real Italian pasta sauce. Blended exclusively the Pompilio’s way.